The Jake Jabs Center offers several entrepreneurship specializations for graduate students pursuing an MBA or Master’s Degree. Ranging from bioinnovation to technology innovation, we have plenty of options to fit the interests of aspiring business professionals in high-demand fields. For specific course and program information, make an appointment with or email Assistant Director Sarah Engel. 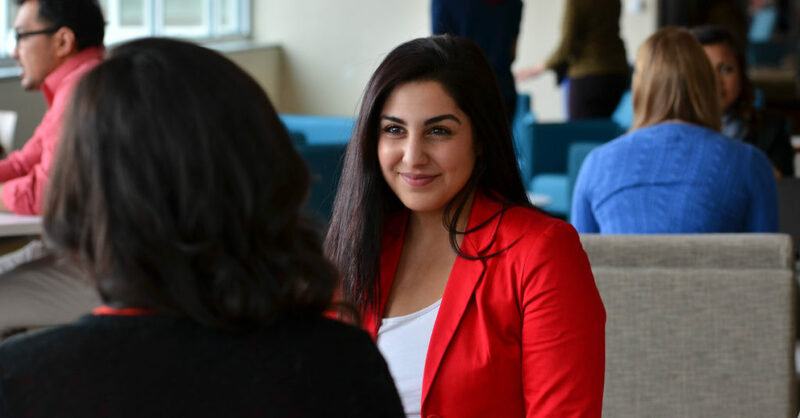 The Entrepreneurship specialization with the MBA program provides a range of focused courses geared toward individuals looking to start their own business. Students are given the opportunity to learn from case studies, classroom instruction, and guest lectures featuring successful entrepreneurs and renowned business leaders. Students must complete four entrepreneurship courses to receive the specialization. This Bioinnovation and Entrepreneurship specialization with the MBA program is the first of its kind to be offered by an AACSB accredited graduate business school in the country. Taking advantage of the incredible Colorado biocluster, in collaboration with faculty at Anschutz Medical Campus, this specialization is one-of-a-kind, geared toward helping bioentrepreneurs achieve commercial success. Students must complete four entrepreneurship courses to receive the specialization. The Entrepreneurship and Innovation specialization provides a wide range of entrepreneurship courses to give management graduate students the knowledge and tools to start or work for an entrepreneurial business. Students have the option of completing four entrepreneurship courses or three entrepreneurship courses and one management course to receive the specialization. The Digital Health Innovation specialization with the MS in Information Systems program helps students develop the knowledge, skills and capabilities in entrepreneurship models, business plans and market platforms for drugs, devices, diagnostics and healthcare IT products and services. Students must complete nine courses in both information systems and entrepreneurship to receive the specialization. The Technological Innovation and Entrepreneurship specialization with the MS in Information Systems program is designed to prepare students for successful careers in innovation-related roles, allowing them to organize, develop, and commercialize information technology-based innovation in existing firms or create new technology-based ventures. This specialization prepares students to evaluate opportunities and manage the process of innovation, and they must complete 10 courses in both information systems and entrepreneurship to receive the specialization.